TOMORROW, the vote for Army Spouse of the Year will take place, and I am one of the three lucky finalists that gets to compete for the honor. That's really tremendous. I hope I win, because I know the incredible platform that the honor would provide me! But the thing that's even more tremendous to me is looking at how I got started down this path. Four amazing women wrote in to nominate me for this honor, and each of them represents a different aspect of my life. Their words made me smile (and cry), and feel so incredibly blessed in the people around me in this world. So I wanted to take a minute and tell you a little bit about each of these women. I would like to nominate my best friend and the most amazing military spouse on the face of the planet for military spouse of the year, Reda Hicks. Reda and her family have endured being a remote family the entire length of her marriage to CWO Hicks. 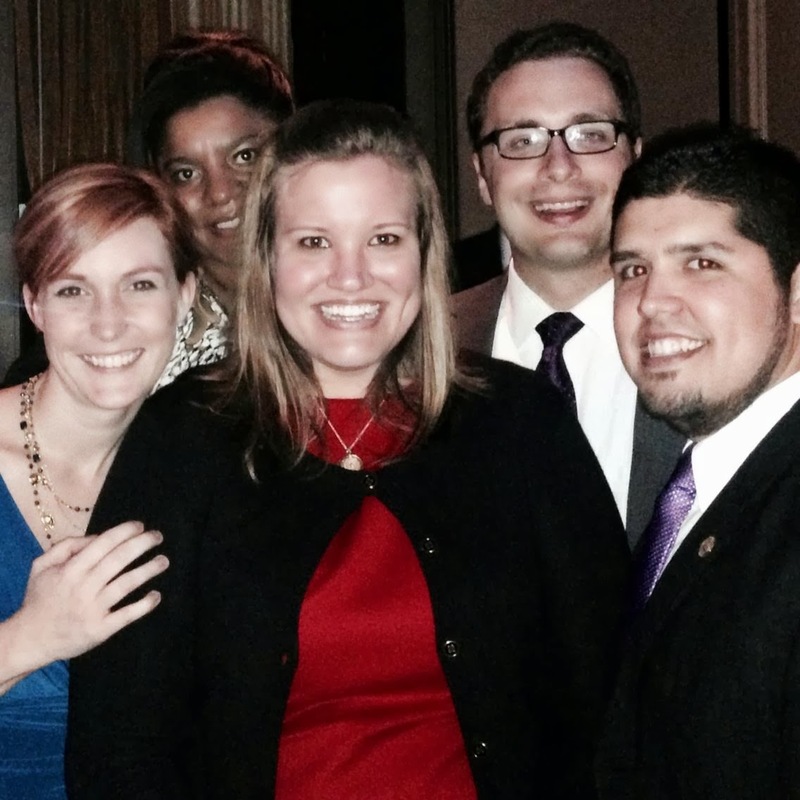 Since meeting Jake, she has thrown herself into championing military spouse rights. Not only is she a busy attorney in a successful law practice in Houston, she is a mother of an active three year old boy, civic leader in her community and one of the steering oars for the Military Spouse JD Network. As a member of MSJDN she has done so much to better the position of military spouses with JDs including helping to ensure that a DC Circuit judge's nomination to the court was in fact confirmed. She is a tireless, tenacious, and proud military spouse. Anyone who knows Reda knows that none more than her deserve such an honor. I hope that you will take the time to get to know her and find out why I believe she is the best candidate for Military Spouse of the Year. By any independent measure, there is no better candidate for 2014 Military Spouse of the Year than Reda Hicks. 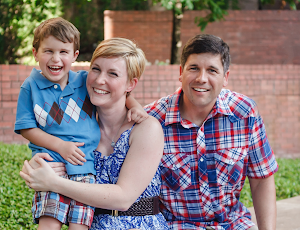 Reda is an Army wife, a partner at a law firm, active in her community, and a woman of faith. But more than that, she is my friend and my deployment buddy, as our husband's deployed at the same time last summer. Reda and I are both Army wives and attorneys. It's a strange experience, trying to be a military family while being a working professional; it's especially difficult for attorneys, who have to be licensed to work in each state they live in. 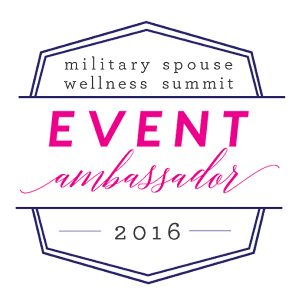 Reda and I first met through an organization founded with the purpose of making that tension easier, the Military Spouse JD Network. When we met a short year and a half ago, we realized we'd both been at Fort Polk at the same time, and both with new babies. It is one of my most sincere regrets that we had not connected at this time, because I really could have used a friend! Since then Reda and I have made up for lost time, and I have have watched her become a fierce and passionate advocate for military families. Reda feels military stressors differently than most of us. She and her husband made the decision to live apart so that Reda could maintain her legal career. 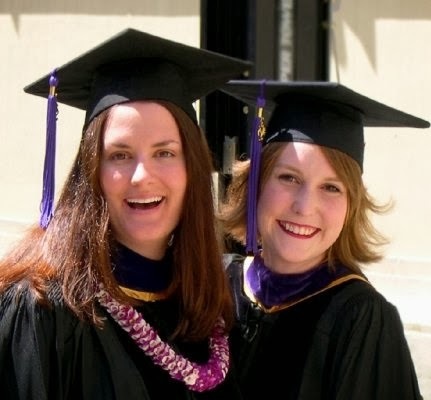 This difficult choice motivates her to help other military families so that they do not have to make the same difficult decisions and can be a military family and pursue the legal profession. 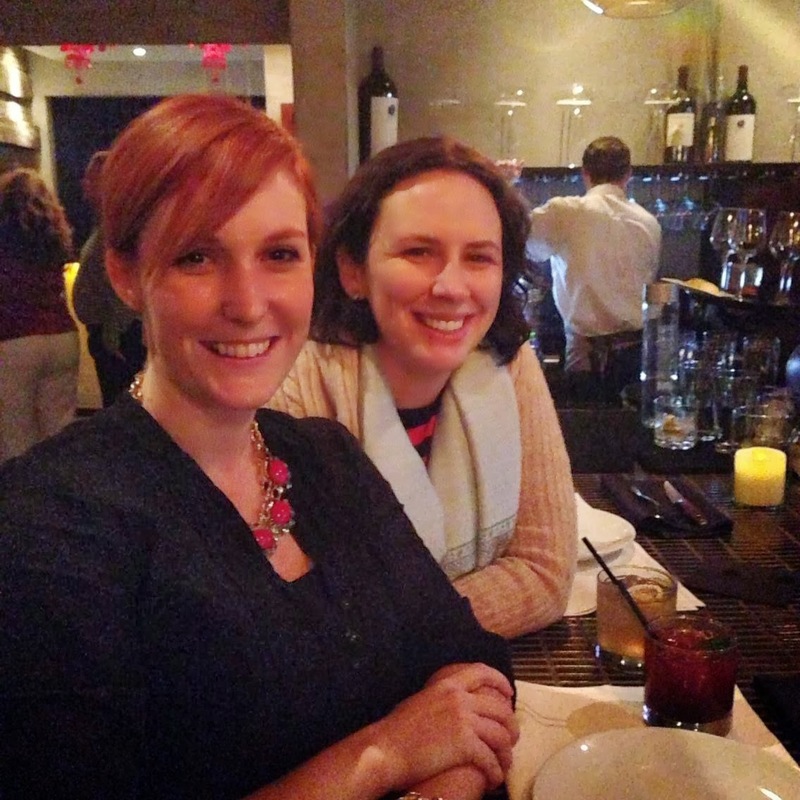 More than the national-level advocacy she's done for military families, supporting other milspouse attorneys, publishing op-eds in her local paper, or organizing professional development events for her military spouse peers, what Reda has been for me is an always-on shoulder to cry on and partner in crime to laugh with. Day or night, Reda is the first person I reach out to when I am having trouble remembering why exactly we subject ourselves to this crazy military life. I don't know if it's her legal training or her experience as a mom of a precocious three (almost four!) year old, but she has the ability to calm me down when I'm angry and rile me up when I should be. And whether it's serving as a Board Member and Publications Editor of MSJDN or as a leader in her local church, volunteering at the food pantry or chairing a high-stakes legal meeting at her law firm, sitting down with political dignitaries or sharing Tex-Mex at her favorite family restaurant, Reda approaches all of her interactions with grace and grounded personality many of us strive for. The Military Spouse of the Year should be someone that shows us that through the most difficult of our circumstances, military spouses can succeed and support each other in the process. Reda Hicks exemplifies these qualities, and so many more, and should be our next Military Spouse of the Year. Reda Hicks worked tirelessly this year to support military and military spouses. She was instrumental in gathering support among military spouses and Senators for Patricia Millett's nomination to the DC Circuit Court of appeals, a historic appointment that was confirmed in December 2013. She has also been at the forefront of the #KeepYourPromise campaign to educate military, the public, and elected officials about the COLA pension cuts in the Balanced Budget Act and pushing for the cuts to be reversed. She has done this all while working full-time as a litigation partner in a Houston-based law firm, solo parenting a 3 year old child, with a husband who is deployed to Afghanistan. Reda represents the absolute best of what military spouses can accomplish when they put their minds to it. Reda inspires me every day to do better and be better. The strength & passion Reda shows when advocating on behalf of military families is infectious. You see it in HER eyes, you hear it in HER voice, and you feel it in YOUR heart. Reda spends more hours during the week tirelessly supporting military families than most people spend at their day jobs in the same time span. She sets herself apart from others by speaking beyond social media and online forums to take her message of military families and the inequities they face to the policy makers in Washington. And when partisan theater puts a barrier in front of her, in true military spouse fashion, she finds a way to break through it. Reda deserves this. She has earned it. Reading these words from such amazing ladies makes me feel like I've already won. But it also inspires me to want to do more, to really live up to these words. To me, that's what a platform like Army Spouse of the Year is all about--pushing the limits to improve our community. But title or no, the truth is that you only accomplish great things with the support of the people around you. So thanks very much to all of you who have lifted me up. I hope I make you proud!! What an amazing group of women.